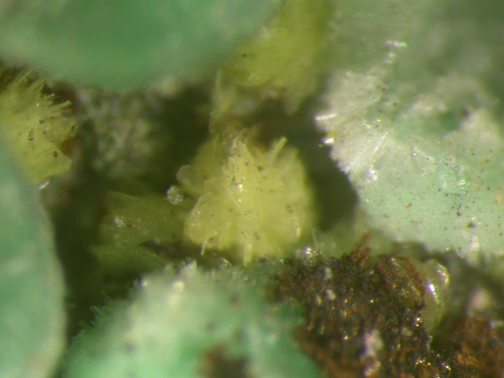 Natrouranospinite: Mineral information, data and localities. 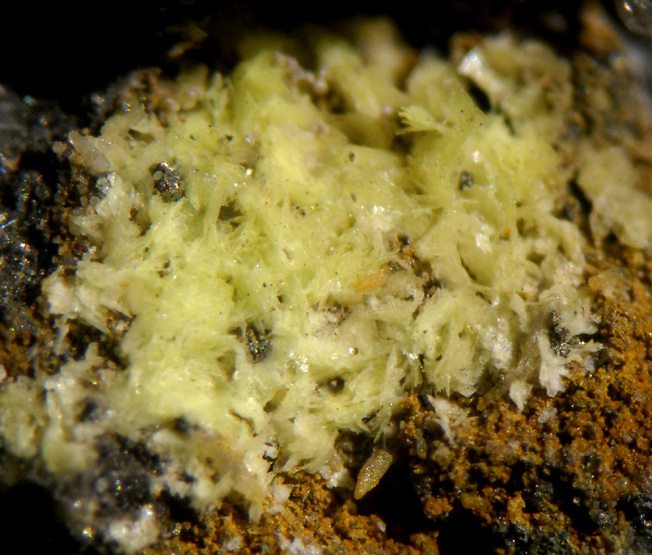 Named in 1957 by E. V. Kopchenova and K. V. Skvortsova for being the sodium analog of uranospinite. X = colorless, Y = Z = yellow. 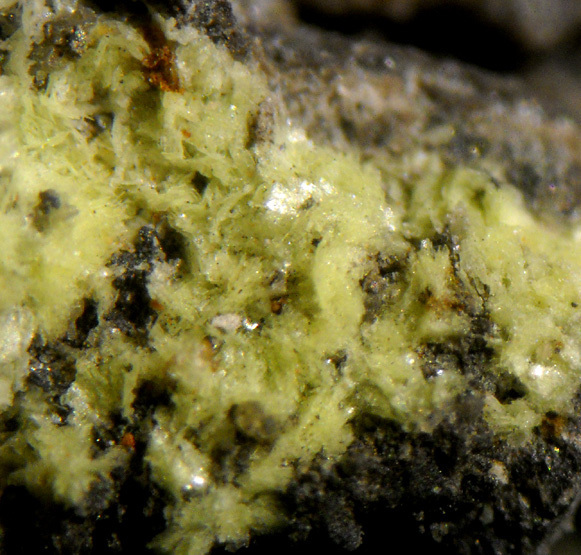 Oxidized zone of uranium-sulfide deposit hosted by felsite porphyry and tufaceous breccia. Chernikovite (H3O)2(UO2)2(PO4)2 · 6H2O Tet. Lehnerite Mn2+(UO2)2(PO4)2 · 8H2O Mon. Metalodèvite Zn(UO2)2(AsO4)2 · 10H2O Tet. Uramphite (NH4)2(UO2)2(PO4)2 · 6H2O Tet. Baryte 3 photos of Natrouranospinite associated with Baryte on mindat.org. Uranophane 1 photo of Natrouranospinite associated with Uranophane on mindat.org. American Mineralogist (1958): 43: 383-384. Doklady Akademii Nauk SSSR: 114: 634-636. Pauliš P., Kopecký S., Černý P. 2007: Uranové minerály České Republiky a jejich naleziště. 1. část. (Kutna Hora, issue 1); Martaus, A., Sejkora, J., Říha, V.: Sodiumuranospinit z ložiska Měděnec v Krušných horách. Bulletin Mineralogicko-petrografického oddělení Národního muzea v Praze, 2002, roč. 10, s. 238-240. From the collection of Vincent Bourgoin. EDS analzyed.